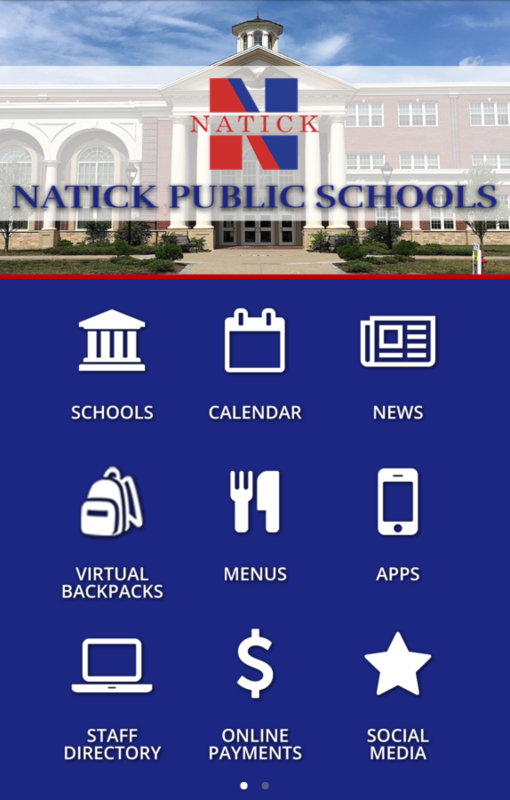 Did you know Natick Public Schools has a Mobile App? It's true, we have a mobile app! As the first mobile app for the Natick Public Schools website, it works to provide the same great information from our website with added convenience at your fingertips. DOWNLOAD the app to a mobile device or tablet. When launching the app for the first time, select ‘YES’ to receive push notifications to receive news and updates that get pushed to devices. The app is available in the iTunes App Store and Google Play Store.